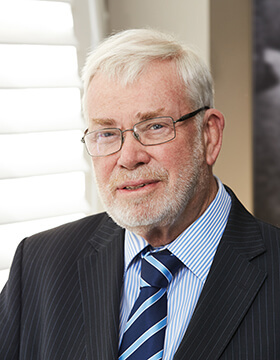 Robert specialises in the areas of family provision, will construction and rectification, judicial advice, eviction proceedings in probate cases, testamentary capacity and other contentious probate and succession matters, real estate and agency concerns and professional negligence. He has also done substantial work covering the Property Stock & Business Agents Act, commercial litigation, family law, crime, personal injury, industrial relations, local government and building contracts. Robert has delivered over 60 papers at seminars over the past 30 years on a range of topics in Australia and internationally. He was the inaugural President of the NSW Articled Clerks Association and launched his own practice in Sydney’s Rozelle at the age of 23.